Interior designer Ian Stallings' favorite getaway is none other than his San Francisco home. This family retreat by the Pacific is a continual work in progress. 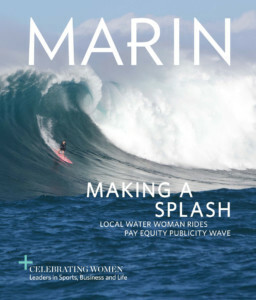 Here's who contributed to the premiere issue of Marin At Home. A young family asked designer Mead Quin to give their new home a modern update that would feel pristine without being precious. Las Vegas' master designer Roger Thomas shares secrets on the art of entertaining well. A new kitchen table helped to steer one Kentfield couple toward custom furnishings with a modernist slant. A south-facing Marin garden borrows freely from the east. Secrets beyond guidebooks and our editors’ best picks of restaurants, stores and hideouts. Voluptuous, organic, sinuous lines and handcrafted textures inspired by stars, trees, waves, rocks, crystals, rushes, cliffs and the planets.